I just wanted to make a quick blog post to share the link where you go to setup a Paypal account for your business website. Paypal makes the setup process pretty straight forward, but navigating to the link for Paypal Website Payments Standard can sometimes be challenging! Paypal offers a nice tutorial video on this page to show you how to setup your account. Once your account is created and attached bank account verified, you'll be ready to start accepting payments. Your webmaster should be able to help you setup Paypal buttons on your website. 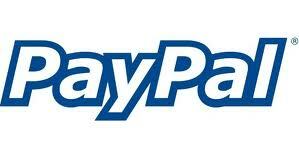 If you need assistance integrating Paypal with your website, please don't hesitate to contact us!